When you choose Nationwide as your insurer in Georgia, you know you can count on affordable premiums, world-class customer service and a seamless claims process. It doesn’t matter if your commute to work has you traveling from Buckhead to the airport or going a few short miles from home, you need an auto insurance policy that offers the most comprehensive benefits for you and your ride. Speak to one of our Georgia agents to learn how Nationwide can provide you with the financial protection you can depend on in the event of car accidents and other covered events. Your home, no matter if it’s in Macon, Decatur, Atlanta or anywhere else in Georgia is vulnerable without a homeowners insurance policy. 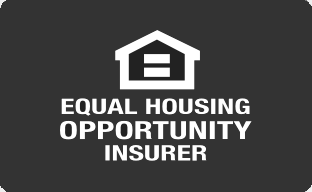 You want an insurer that will insure your home for its full replacement value and provide repair and replacement options with Nationwide’s Brand New Belongings® and customer service agents who make the claims process fast and easy to complete. Don’t leave your home underinsured or uninsured. Even if you think you can’t afford to insure your property, Nationwide will show you how affordable and effortless it is to get the right level of coverage. When it comes to business, what you don’t know can hurt it. You don’t have to be the world’s savviest entrepreneur to know good insurance when you see it. By choosing Nationwide business insurance, you can avoid the stress, frustration and expenses that come from unexpected events. Our agents are ready to discuss your business and help you find a commercial insurance policy that meets your specific needs. Don’t search blindly for the right insurance. Start and end your search with Nationwide. Contact us via phone to discuss your situation. You can also arrange a meeting with one of our local agents or use our free online quote tool. All the insurance you need is available at your fingertips.